Health system and health plan leaders across the country are asking the same question: how will our organizations survive and thrive in a value-based world? As the shift to lower-cost settings accelerates and the population becomes older and sicker, organizations are seeking new ways to manage costs, generate income and control quality. For many organizations, launching a Medicare Advantage (MA) plan paves the way for value-based care models that reward delivering better care at lower costs by combining clinical and financial expertise. As enrollment in MA continues to outpace traditional Medicare enrollment – with national MA penetration growing from 30 to 50 percent in the next 10 years – organizations must have a strategy that enables success in the future. MA is increasingly viewed as a potential growth area for organizations. While launching a plan certainly carries risk, it also offers significant upside for providers and payers to successfully manage the health care needs of members. With an average annual premium of $10,000 per member according to a Lumeris study, MA enables provider-sponsored plans to manage the risk of a population. Access to comprehensive claims data can be used to identify high-risk patients and areas of high utilization, supporting an organization’s population health efforts and steering patients in-network. With aligned incentives, organizations can innovate and invest in care delivery with tools and workflows that support high-value, appropriate care. Further, MA’s sophisticated risk adjustment methodology supports premium payments that reflect the expected cost of providing medical care to each member, including those with complex conditions. Proper risk adjustment requires providers to capture diagnoses accurately and completely to support reimbursement. Finally, with Star ratings, well-managed MA plans that earn 4- to 5-Star ratings can attract more members and revenue through enhanced benefits. Highly-rated plans receive performance bonuses that bring in an extra five percent a year, which are used to provide additional benefits to members. Consider creating a plan built around a collaborative model: one that aligns incentives, bolsters the provider-payer-member relationship and enables delivery of high-quality, cost-effective care. Establishing a provider-sponsored MA plan is a significant undertaking. Given the large investment of time and money, organizations considering launching a plan must ensure they have several foundational elements in place. Consider creating a plan built around a collaborative model: one that aligns incentives, bolsters the provider-payer-member relationship and enables delivery of high-quality, cost-effective care. Before launching a plan, organizations must evaluate their tolerance for risk and ability to capitalize said health plan. A strong brand reputation in the market is obviously crucial, but additive resources and significant infrastructure are also required. Organizations should also consider market dynamics, population growth and reactions from key players – competing systems, provider groups and other payers – and how these factors impact their strategy as a differentiated plan offering in the market. Considerable infrastructure is required for claims processing, actuarial analysis and utilization management, among other payer functions, which can be leveraged from working with a collaborative payer or operating partner. In MA, expertise in Star ratings, risk adjustment, sales and marketing, compliance and plan design add further complication to successful operations. To build the right foundation, provider-sponsored plans must focus on enabling the provider-payer-member relationship, often requiring innovative processes on everything from data transparency and aligned incentives, to coordinated care management programs and shared governance. Core to a collaborative model is ensuring organizations are aligned. Managing a health plan requires organizations to focus on improving patient outcomes and monitoring the entire population, not just the patient in front of them. Fostering the right network and governance, aligning incentives to create mindshare, sharing best practices and information, and supporting new workflows and behaviors are all critical to success in value-based care delivery. Before launching a collaborative MA plan, organizations must assess capabilities to identify gaps in knowledge, expertise and operations. For most organizations, working with an operating partner is more effective than building internal MA competencies from the ground up. Finding a partner with skill and experience in launching a collaborative plan can enable organizations to gain a competitive advantage more quickly. It can improve the likelihood of success while limiting risk and enable providers to focus on their core strength of delivering high-quality, high-value outcomes. One example of bringing these necessary capabilities together is the newly announced collaboration between Cerner, a global leader in healthcare technology, and Lumeris, an award-winning health plan and value-based care managed services operator. Under the relationship, the companies will provide a suite of offerings under the name Maestro Advantage™, designed to enable health systems and health plans to drive success in value-based arrangements through population health service organizations or provider-sponsored plans. The offerings combine Cerner technology and Lumeris operational services aiming to streamline redundant processes that burden members, payers and providers, including lengthy claims processing and reimbursement cycles, and obstacles to sharing data and records across any electronic health record in the network. This post originally appeared on September 19, 2018, as the second in a series of sponsored guest blog posts on our Convergence conference blog. This is most representative of the status quo and the most realistic path forward for the vast majority of payers who typically operate at the local level. In this scenario, one or more health plans in a regional market partner with other community stakeholders to co-fund and sustain a regional HIE. These stakeholders typically include large corporations with a large local employee base and/or provider organizations. Successful examples of such multi-stakeholder HIEs include the Louisville HIE (Humana, Anthem, Ford, Yum! and Kroger), and the Rochester RHIO, where payers (Aetna, BCBS, MVP) and hospitals share a 2/1 split of all operating expenses on a transaction model. The benefit to payers in participating and most often funding the majority of such an HIE is three-fold. First, partnering with other organizations in the region contributes to a greater “fabric of trust” between the HIE and physicians within the region leading to greater physician participation. Secondly, by partnering with others, the payer is able to share HIE operating costs with other stakeholders. Third, physicians actively exchanging patient data can prevent some hospital readmissions and decrease duplicative lab and imaging tests, thereby lowering a payer’s total coverage cost in the region. Despite a seemingly straightforward path for payers to get involved with HIE’s, there remain a number of challenges. These are two-fold in nature: Regulatory and Marketplace. On the regulatory front, the list of challenges is long and familiar: ICD-10 (while it seems like there will be another delay, much to the chagrin of the AMA this isn’t just going to go away) and HIPAA 5010, health insurance exchanges and other health reform mandates. (On the plus side, health information exchange-related spending counts favorably towards new medical loss ratio (MLR) rules). However, the marketplace is where the true challenges lie, as there is hardly a guarantee that payers and provider groups will play nice with each other. Nowhere is this more evident than in the Western PA market, where a sort of fisticuffs have been going on between Highmark BCBS and UPMC. Without going into the sordid details, Highmark (who just bought Pittsburgh’s second largest hospital network, West Penn Allegheny) and UPMC are now building competing HIEs in the same region because of a longstanding spat over contract negotiations. To hospitals who are now faced with participating in two separate HIE’s, this does not make much sense. For the payers however, it does make sense when cast against the backdrop of rising competition. (Chilmark noted this challenge after attending the AHIP confab last summer.) Insurers are fighting with each other to keep their networks competitive. Providers are fighting with each other to secure preferred referral status, i.e. patient volume. Introducing an HIE in the middle of this environment has wide reaching implications for where patients are sent as well as who accrues and shares the savings. Throw in the variable of different reimbursement rates for commercial, Medicare and Medicare Advantage patients and you can see why partnering up to set up an information network is more than simply writing a check. In the light of the tighter margins imposed by health reform, insurers who can afford it will diversify their business. The national health plans will be looking to acquire their own platform ala Aetna and UHG, with the additional hopes of squeezing cost savings out provider users and building a more favorable MLR. The main considerations in predicting this shift include vendor consolidation and the readiness of existing provider networks to collaborate. Regional Insurers, such as the Blues and other statewide or multistate networks, have the wherewithal to setup and license their own platform for exchange either through payer-payer partnerships or on their own. The recent NaviNet deal seems to be more of an ACO play, but indicative of the business strategy of this class of payers who are willing and able to be flexible in how they approach their role as stakeholder in information networks. Local Insurers who have fewer resources and who operate directly in the tides of market competition will opt for a ‘safer,’ multi-stakeholder approach in their communities. Partnerships will be heavily influenced by network dynamics, reimbursement channels and existing arrangements, such as burgeoning accountable care communities. So, as rosy as information exchange seems on paper, it is permanently changing the way that provider and payer groups do business. From where Chilmark stands as an observer of the market’s evolution, it is all too clear that payers and providers ultimately have little choice but to work together. Payment reform and millions in IT incentives have already begun to influence the way that the delivery and payment markets work; the future of accountable care, proactive population health management and ‘smart’ health care delivery all depend on willing and trusting partnerships. Unfortunately, as is too often the case, patients and other stakeholders get left out of the decision calculus. Pittsburgh residents will hardly benefit from the competitive business posturing there. We hope the folks deploying HIE’s over the coming years will put as much of an emphasis on leadership and governance as they do on technology and of course, the health of their business. The numerous changes in the healthcare sector are forcing stakeholders to develop new business models to prosper, to survive. Among health insurers, this means one thing: diversification. Health reform was the nail in the coffin of yesterday’s business model, a model that had no restrictions on margins, a model where payers sold to businesses, not individuals. Tomorrow’s strategy for payers is still a work in process but one thing is clear, its foundational elements will be consumers, technology and data. The emerging world of big data in healthcare is providing payers with new potential ways to make profits. Beyond the promise of efficiencies, some payers are beginning to look closely at harnessing the flow of clinical, claims and administrative data to allow for the creation of stand-alone business opportunities. 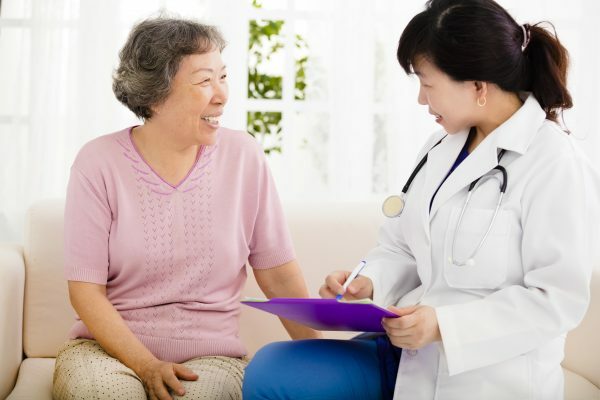 Specifically, information exchange will grow in importance in 2012 and beyond as value-based payment models rely to increasing extents on the availability of diverse types of data at the point of care. So why have payers been so cautious to jump on board and fund HIE’s? The answer is multi-faceted. First and foremost is simply the issue that many a provider is uncomfortable with a payer having direct access to clinical data and is thus unwilling to share such data with an HIE that has payer involvement. Second is the business uncertainty at this early stage of HIE maturity. The HIE market remains very dynamic and there is a lot of uncertainty as to where this market will eventually lead. Before putting some parameters around the direction of payer-involvement in the HIE market, it bears a quick run-through of what the different models of payer involvement look like today. Axolotl and Medicity are the clear leaders in the HIE software market. Both were acquired in 2010 by big insurers (Axolotl by United Health Group, which was folded into the Optum Division and Medicity by Aetna) and continue to dominate the HIE landscape. Both UHG/Optum and Aetna are clearly looking to build out new lines of business, in this case healthcare IT, where the opportunities for future growth and expansion are promising. Their investments are already paying big dividends: In a telling sign of the direction of this market, Optum has actually begun to grow faster than UHG’s main insurance business. The investments these insurers have made in HIT are significant and ones that only the biggest national players will have the appetite for. Kaiser’s walled garden, in-house approach effectively rules them out of this kind of play. Other payers have not shown signs of moving towards owning their own HIE solution, or making other major bets on HIT…yet. Humana and Cigna have only helped out by funding pilots to date. Despite a national brand and association, the Blues fit into their own category because of the state-based nature of their business structure. They are certainly not slouching in the HIE race though as the next section explains. Chilmark has also heard murmuring around the water cooler about some potential partnerships on a more national scale in 2012, so again only time will confirm these rumors. Conclusion: It may be too late for other payers to get in on the HIE market via acquisition of a leading vendor as few independent vendors remain. Lumeris, with three regional Blues acquired NaviNet this week. This acquisition may provide a non-traditional route to the same end-point, purchasing the network to build-out future pipes for numerous data types. Further crystallization in the HIE marketplace as well as more evidence from operational systems will help them make a bet on a particular vendor. These are HIE’s that are exclusively funded by payers. As it stands now, this is a pretty lonely space, as providers continue to be skeptical of payer intentions and there remains a dearth of conclusive proof of return on investment (ROI), more studies like Humana’s with WHIE will only help. However, some early movers have already tasted success with this approach, the most prominent being Availity, a Florida-based collaboration between two Blues plans, Humana and WellPoint. Their business model is simple: Payer contributions help to get the data flow and integration efforts underway, providers receive a base set of information access services for free, and pay for premium business services such as revenue cycle management and practice management tools. The value equation for providers has been enough to keep Availity in the black to date. They’ve gone one step further and it looks like Availity will be licensing this to other Blues plans around the country as well. While this work is certainly laudatory, Chilmark is skeptical that this level of collaboration will occur widely today (Availity began in 2001). While it’s possible for a national payer to partner with local plans to get an HIE off the ground, these typically include other intermediaries for purposes of getting buy-in from other stakeholders (these are insurance companies, after all), skin-in-the-game and governance. Moreover, because the ROI in HIE can be somewhat invisible, appearing in efficiencies and reduced costs for payers and providers, payers feel more comfortable sharing the investment. Conclusion: Aside from emerging collaborations between Blues plans and some provider organizations (e.g. Catholic Healthcare West and Blue Cross of California), we foresee little progress here. For big payers considering an acquisition play, investing in one-off models is quickly becoming redundant; for local plans it makes more sense to share the load with non-payers. In Part Two will look at local support of HIEs, challenges and what lies ahead for the future.